Ahmedin Jemal, D.V.M., Ph.D. is vice president of the Surveillance and Health Services Research Program at the American Cancer Society. His research focuses on cancer disparities, with particular emphasis on the burden of cancer and other diseases that continue to be higher in blacks and in persons of lower socioeconomic positions. Dr. Jemal researches the various factors contributing to disparities in cancer mortality, including socioeconomic factors, social barriers, access to high quality cancer prevention, early detection and treatment services and the impact of racial and ethnic discrimination on all of these dynamics. Dr. Jemal received a D.V.M. 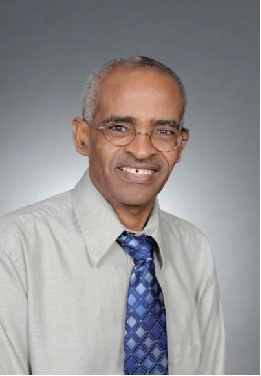 in 1986 from Addis Ababa University, Ethiopia, and a Ph.D. in Epidemiology in 1997 from Louisiana State University. He obtained post-doctoral training in descriptive epidemiology at the National Cancer Institute before he joined the Epidemiology and Surveillance Research Department of the American Cancer Society in 2001 as Strategic Director, Cancer Occurrence. He currently holds an appointment as an Adjunct Associate Professor of Epidemiology in Rollins School of Public Health, Emory University, serves as associate editor of BMC Cancer, as a reviewer for several epidemiological and medical journals and as a member of several committees related to cancer surveillance.